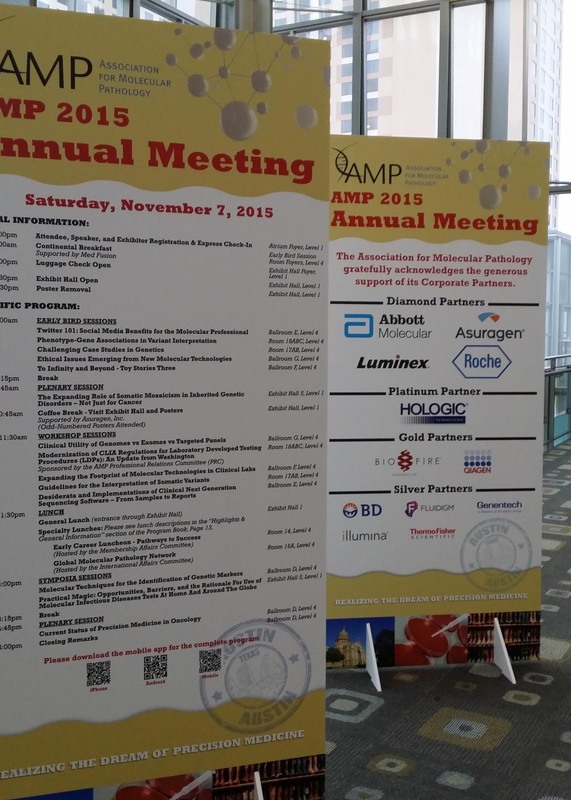 The 2015 annual AMP meeting opened Novemeber 5th in Austin TX, with a presentation by Dr Brian Druker titled “Imatinib as a Paradigm of Targeted Cancer Therapies.” This year’s recipient of the AMP Award for Excellence in Molecular Diagnostics, Dr Druker highlighted the importance of identifying patients through biomarkers and matching therapies to the patient. This theme continued through many of the presentations, posters and vendor exhibits the importance of providing physicians actionable results for patient care and therapeutics. Molecular diagnostics are critical to any discussion on precision or personalized medicine.